Everything SuperNova 655, Connection Issue? Passwords Issues? User Guide? 1. Make sure the wireless device has no Ethernet cable connect if you use home internet. Note: Normally bottom right side of screen. 3. Find the SSID Broadcasted under "Freedompop_777", numbers on your device maybe be different. 4. It will ask you for a password. 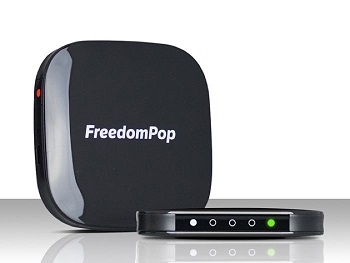 Use ( freedompop ) all lowercase, no numbers. Note: You can still connect to the 655 even if there is no Cellular Data getting to the device. This is called a network connection. Note: Make sure you are connect to the Hotspot Wirelessly. Make sure when you connect to the Hotspot Wirelessly, that the Hotspot is the only internet connection. If you have any Ethernet plugged into your home network, on the PC or Laptop, please unplug. 1. On a computer that is connected to the Mobile Hotspot network, open the web browser and enter http://192.168.1.1/index.asp in the address bar. Press Enter. 2. Enter the administrator password and click Sign In. Note: The default password is ( admin ). If that password don't work try ( 123456 ) or ( password ). 4. Click "Update Profile" and when that completes, click "Update PRL"
4. Scroll down to WiFi Security and change password and SSID accordingly. 5. Press Apply when complete. 4. Enter New Password, than Verify and Enter password again. Note: It may be necessary Re-Enter new Admin password after you click apply, to get back into Administrative Settings. 3 white lamps, signal is strong. 2 white lamps, signal strength is better. 1 white lamp signal is weak, and No white lamps, no signal or Network obscured.